The Cleveland Browns have signed former Green Bay Packers quarterback Matt Blanchard to their practice squad. Starting quarterback Josh McCown sustained a concussion in Cleveland’s 31-10 loss to the New York Jets on Sunday. McCown’s backup, Johnny Manziel missed time during the preseason with lingering elbow soreness. Coach Mike Pettine said Monday that the Browns will move forward as if Manziel will start next Sunday against Tennessee, not knowing when McCown would be cleared from the NFL’s concussion protocol. The Green Bay Packers reduced their roster to 75 players on Tuesday afternoon. Among the cuts is former UW-Whitewater quarterback Matt Blanchard, who performed well enough to win the third quarterback job behind Aaron Rodgers and Scott Tolzien. Blanchard’s fate was sealed however when the Packers selected UCLA quarterback Matt Blanchard in the fifth round of the NFL Draft. Packers general manager Ted Thompson rarely cuts draft picks and Hundley cemented his spot on the roster with a good performance against the Philadelphia Eagles last Saturday. Blanchard completed 8 of 11 for 87 yards and a touchdown against Philadelphia in the fourth quarter. Packers quarterbacks coach Alex Van Pelt said Blanchard is very bright and has a future as an NFL player. The Packers also placed wide receiver Jordy Nelson on injured reserve, officially ending his season. Nelson tore his ACL in the second preseason game against the Pittsburgh Steelers. He has yet to undergo surgery. The Packers also released WR James Butler, LB Adrian Hubbard, TE Harold Spears and CB Kyle Sebetic. They waived/injured WR Javess Blue and WR Jimmie Hunt. On Monday, the Packers released DT Lavon Hooks, T Vince Kowalski, LB Tavarus Dantzler, T Fabbians Ebbele and LB Josh Francis. The Packers will host the New Orleans Saints in the final preseason game on Thursday night (6pm) at Lambeau Field. They’ll open the regular season a week from Sunday at Chicago against the Bears. 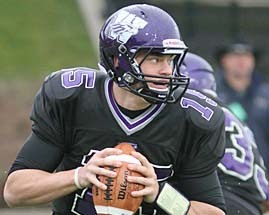 The Green Bay Packers signed former UW-Whitewater quarterback Matt Blanchard today. The signing was confirmed by Blanchard’s agent, Paul Sheehy. Blanchard joins quarterbacks Aaron Rodgers and Scott Tolzien on the roster. He spent last season on the Carolina Panthers’ injured reserve list after suffering a concussion during a preseason game against New England. He also spent time on the Panthers practice squad in 2013 after breaking into the NFL with the Chicago Bears as an undrafted free agent. He spent part of that rookie season on Chicago’s practice squad. 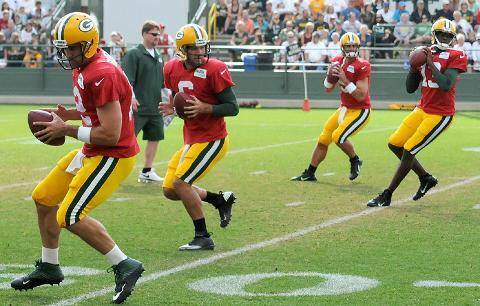 The Packers would like to have a developmental quarterback either on their roster or more likely the practice squad. They decided not to re-sign last year’s No. 2 quarterback, Matt Flynn. At UW-Whitewater, Blanchard went 25-0 as a starter and led the Warhawks to back-to-back NCAA Division III national titles.